Is your heat pump healthy? Just like your car, heat pumps need regular servicing to ensure they are working at their absolute best. At Comfort Solutions we recommend a full service every 12 months for your home and every 6 months in your office or commercial property. This helps to prolong your unit’s operating life and ensure it maintains optimum efficiency. We believe heat pump maintenance is incredibly important in ensuring the continuous health of your home. 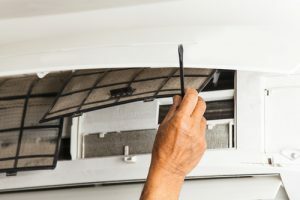 Setting up regular visits for heat pump maintenance not only supports the efficiency of your home but also helps prolong the life of your system as well. By ensuring your system is always running efficiently and your unit is well cared for, servicing is able to provide long term savings. Here at Comfort Solutions we remind all our existing clients when their system needs servicing, so your unit will continue to heat, cool or ventilate at maximum capacity leaving you with peace of mind. *Additional parts and/or servicing may incur additional charges.